Our studio is still moving along, despite our lack of posts on this website. The obvious reason for lack of posts is that most of us are very busy. In particular we have been busy working on several animation projects. Over the past year, the studio has had the benefit of having a consistent performer. Jake Wuchterl was a student in the Individually Designed Major program with an emphasis on dance and performance. He was in the studio with us on a regular basis for the past year. We were able to collaborate on a project for his capstone performance. The dance piece was choreographed by Jake and then we captured the entire sequence. To visualize the dance, we used a smoke simulation to create a sort of otherworldly performer to perform a sort of duet with Jake on stage. You can see some examples of this in our demo below. The demo will be displayed on May 09 2018 at the UWW MAGD Expo. The expo is an opportunity for students in our Media Arts and Game Development project to showcase and present their work. This will be the third year in a row that the UWW MOCAP Studio has had a demo to show what we have been doing. The UWW MOCAP Studio director, Assistant Professor A. Bill Miller has also continued to incorporate motion data in his experimental animation projects. You can see some examples of his work on his website. Some of the projects completed over the past several months will be released for VR or as animated videos within the coming months. As a final thought, we have recently started discussion on updating and changing our system in the UWW MOCAP Studio. We currently run a markerless system that has not been updated in a few years. To bring things up to date we are beginning to look at different systems. If you work with MOCAP, have ideas related to funding, have suggestions for systems we might consider and would like to talk with us – please reach out. Our new demo will be released soon! A lot has happened at our MOCAP Studio this summer. Most importantly, we added 3 new cameras to our configuration. With the help of support at Organic Motion, we updated the arrangement of our space and got the new cameras into the system. As we suspected, our capture capabilities have been greatly increased and we are now working on some new data sets to share here on our site. For example, this morning we got our first really clean Jumping Jack motions recorded and edited. You can find it in the new Active Actions page on this site. We will continue adding more as we go through the Fall Semester here in Whitewater. In other news, Assistant Professor A. Bill Miller presented a short paper and video demonstration of some of his recent work at the 2nd International Workshop on Movement in Computing in Vancouver. The research is based on his creative experimentation with some of the data that we record that isn’t used in normal MOCAP projects. The title of the paper “Experimenting with Noise in Markerless Motion Capture” refers to use of MOCAP data that normally isn’t very practical to use, but is a byproduct of the way we have been stress testing and improving our capture studio. 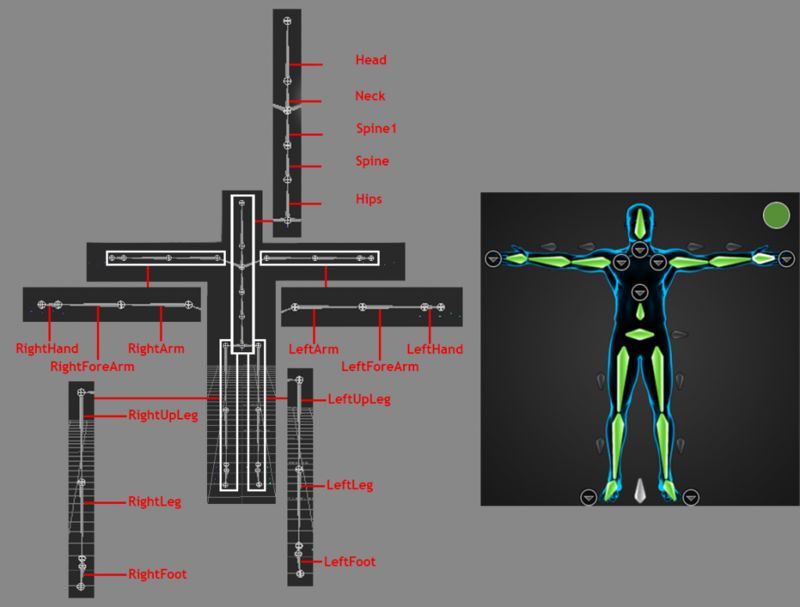 A quick introduction to what we are up to in our MOCAP Studio. Thanks to everyone from Media Relations at UW-Whitewater!